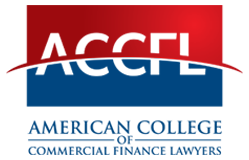 The photographs that you see in the rotating slides on the front page of our website are of College Fellows and their guests at ACCFL events. Pictures were taken at a number of our Annual Meetings & Dinners and at the Fall Dinner & Advanced Seminars. Many thanks to Fellows Steve Weise, Steve Leitess, and Norman Powell for not only donating their time taking photos at these events, but preparing the photos so that they could be sent to our staff to design the various montages for the website. If you want to review the photos more closely, place your cursor on the slide of interest and click on it. It will stop the slide from moving to the next one.